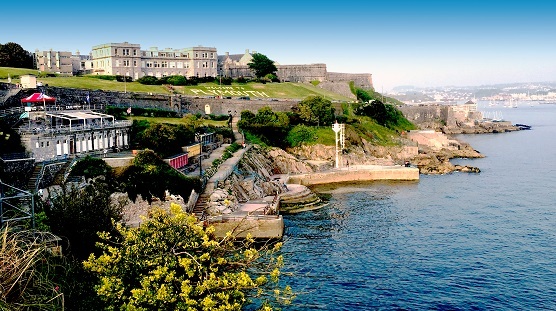 Known as Britain's Ocean City, Plymouth is the largest city in the South West. It is located on the south coast of Devon. From a stunning seafront location to a buzzing city centre and a great quality of life, Plymouth has a lot to offer. For decades, some have dismissed Plymouth, but the arrival of high-profile chefs Hugh Fearnley-Whittingstall and Mitch Tonks and an ongoing waterfront regeneration begs a rethink. 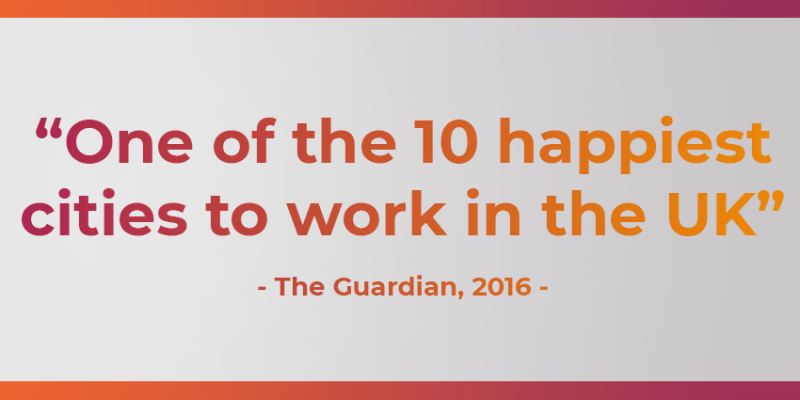 Now, the city was even named by The Guardian in 2016 as one of the 10 happiest cities to work in the UK. Plymouth is packed with possibilities: swim in an art deco lido, tour a gin distillery, learn to SUP, kayak and sail, roam an aquarium, take a boat trip across the bay, then see a top-class theatre show and party till dawn. And the aces in the pack? The history-rich Barbican district with the oldest buildings in the city. There, you can explore shops, galleries, bars, cafes and restaurants along the water’s edge. You can also take boat trips or visit the National Marine Aquarium with its deepwater fish tanks. Plymouth Hoe on the other hand is well known for its breathtaking views across Plymouth Sound, one of the most perfect natural harbours in the world. The Dartmoor National Park could be a perfect day out with children. There, you can meet the famous Dartmoor ponies and see bronze age sites untouched for about 4000 years. You can also visit the Plymouth Gin Distillery where our world famous tipple is made. There are many transport options in Plymouth, either by water or ground. For transportation in the city, you can use the City Bus services, bike hires or the Plymouth Lane Train that goes from the city centre to the waterfront locations. Plymouth is connected to Cornwall by the Royal Albert Bridge and the Tamar Bridge. Train services departing from Plymouth railway station every hour take about 3 hours and a half to get to London Paddington. The railway station also connects the city to Devonport and Ivybridge. By air, the Exeter Airport and the Bristol Airport are just one and two hours away, respectively. The Plymouth Airport is set to re-open from 2018. There are 19 primary schools and 7 secondary schools in Plymouth. Most of them were judged "good” or "outstanding” in August 2016. Find schools near you on Plymouth Council website. With a campus concentrated on the east side of the city centre, Plymouth University is the ninth biggest university in Britain, with nearly 27,000 students. 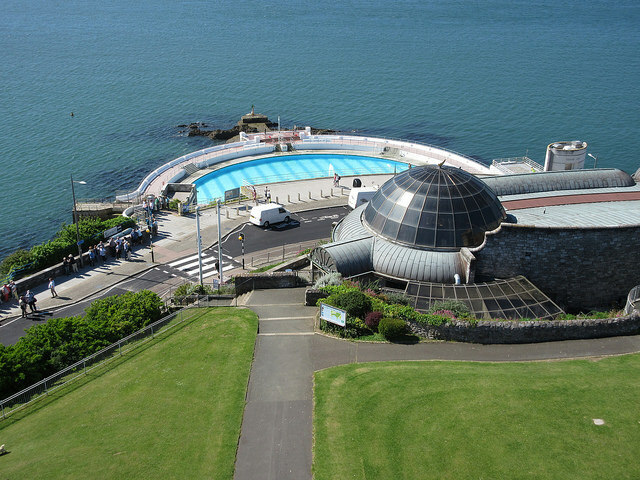 The Plymouth University’s Marine Building contains the most advanced wave tank in the world. The city is also home to the University of St Mark & St John (known as "Marjon" or "Marjons"), specialised in teacher training, and to two large colleges. The City College Plymouth provides courses from the most basic to Foundation degrees for approximately 26,000 students. Plymouth College of Art offers a selection of courses including media. It was started 153 years ago and is now one of only four independent colleges of art and design in the UK. Plymouth was named by The Guardian as one of the 10 happiest cities to work in the UK in 2016. The majority of jobs are related to Devonport’s Naval dockyard (the largest in western Europe) or Plymouth University, plus retailing, the public sector and the arts. Plymouth is one of the top ten digital growth clusters in the UK and offers careers paths in Global Facing Business. Plymouth provides to the restaurants in the city (as well the nation) fine fresh sea food. But eating in Plymouth isn’t restricted to seafood & fish, as Plymouth offers a great selection of global cuisine, from Greek, Italian, Spanish and Chinese. You can also find traditional pasties and cream teas in traditional Devonshire cafes. The city centre has a mix of large department stores, high street brands and boutique shops. Small retailers, cafes and galleries can be found in The West End. The Drake Circus, in the East of Plymouth, won UK Shopping Centre of the Year in 2017. The theatre & comedy scene in Plymouth is always vibrant. The Theatre Royal Plymouth is the best attended and largest regional producing theatre in the UK. There are performances and events all year round. You can also view the latest independent cinema and art exhibitions at the Plymouth Arts Centre. In Plymouth, you can find anything from traditional pubs, to contemporary, modern and stylish bars, mainly located in the city centre and in the Barbican Harbour. As a university city, there are also plenty of underground clubs to please every possible musical taste. Local amenities such as Hospitals, Doctors, Chemists and Schools can be viewed for each property on our website. Search for social housing properties available immediately via Homefinder UK in Plymouth here.